Royale Linens is a leader in Design, Manufacturing, and Strategic Sourcing of Branded and Private Brand home textiles products. We provide a high level of individualized service. We also provide competitive values to a selective group of brick & mortar and internet-based customers. 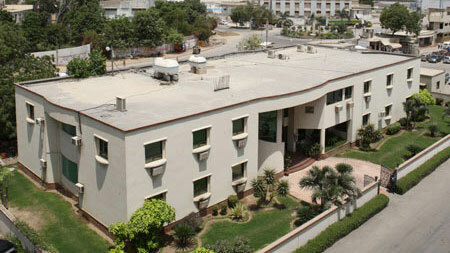 Royale Linens is the U.S. marketing arm for Yunus Textile Mills Limited, based in Karachi Pakistan. Yunus Textile Mills Limited is a vertically integrated, state of the art textile mill. It focuses on efficient, sustainable and environmentally friendly manufacturing. In addition, Royale Linens has established strategic alliances with key suppliers in India, China, and Portugal to augment manufacturing needs. Royale Linens offers full service Design, Sourcing, and Product Development out of offices on 5th Avenue in Manhattan, as well as Hicksville, Long Island. Copyright © 2019 Royale Linens. All Rights Reserved.